Download the Open Budget Survey Global Report, Open Budget Index Rankings, Key Findings, and more. 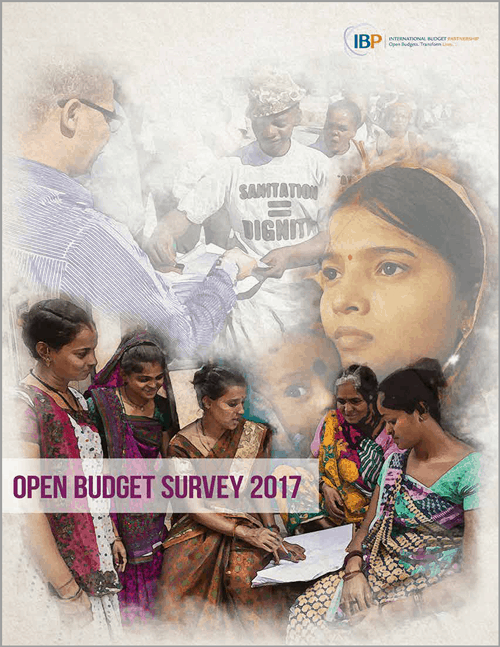 The Open Budget Survey (OBS) assesses whether governments in 115 countries produce and disseminate comprehensive and timely information to the public in eight key budget documents as recommended by international good practices. It also examines formal budget oversight and opportunities for public participation in national budget decision making. The right package of reforms to improve budget transparency, participation, and oversight in any country depends on the specific weaknesses present in that country’s budget system. Accordingly, IBP publishes summaries with individual country findings and tailored recommendations. Select a country below to view its Open Budget Survey results, which include scores for budget transparency, participation, and oversight, plus recommendations on how to improve. You can also download Open Budget Survey Country Summaries and completed Open Budget Survey questionnaires.